Welcome back lovelies, I hope this week has been going smoothly for you. We have been buried in snow and ice over the last few days, so not much venturing into the outside world for Lexi and me. 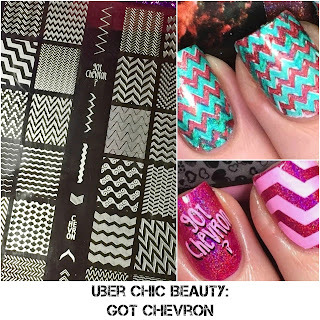 For today's post the lovely Alex from Nail Artisan sent me the recently released Uber Chic Beauty Got Chevron stamping plate, so let's take a look. 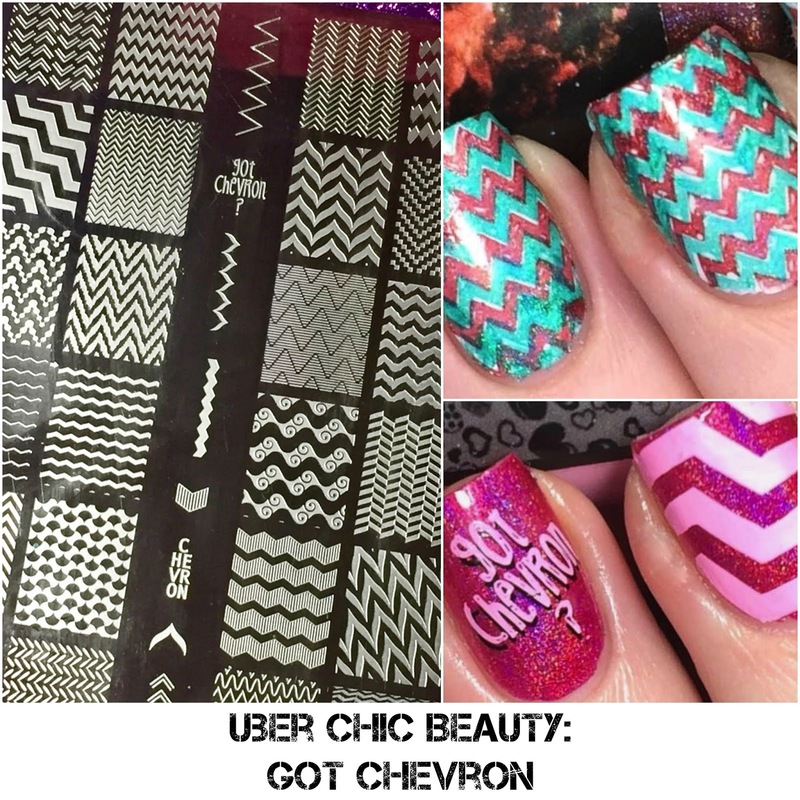 This was among the recent releases from Uber Chic, this plate is a nail art addicts dream, if you are looking for some type of chevron pattern then this is definitely the plate for you. The first design I decided to do definitely still has a Christmas theme to it, I used one of the images from the top of the plate and double stamped them in holographic green and red. The plate is etched really well and pick up was really simple. I really want a pair of leggings or pyjamas with this pattern now. 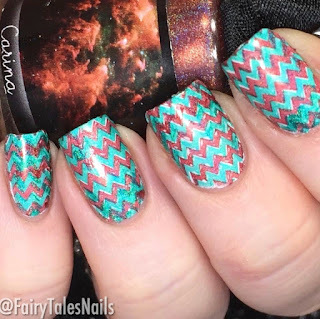 For my second mani I used the 'got chevron?' 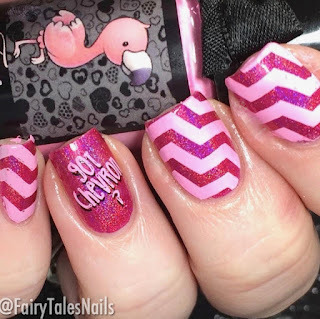 wording and then a diagonal chevron pattern, I really liked how this one came out and that gorgeous pink holographic base is a one coater too. 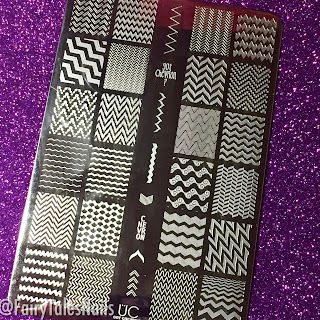 I really loved working with the plate there are so many options to choose from and they all stamp really crisp. The plate is 14.5cm by 9.5cm, it has 20 full size images and 7 singular images. 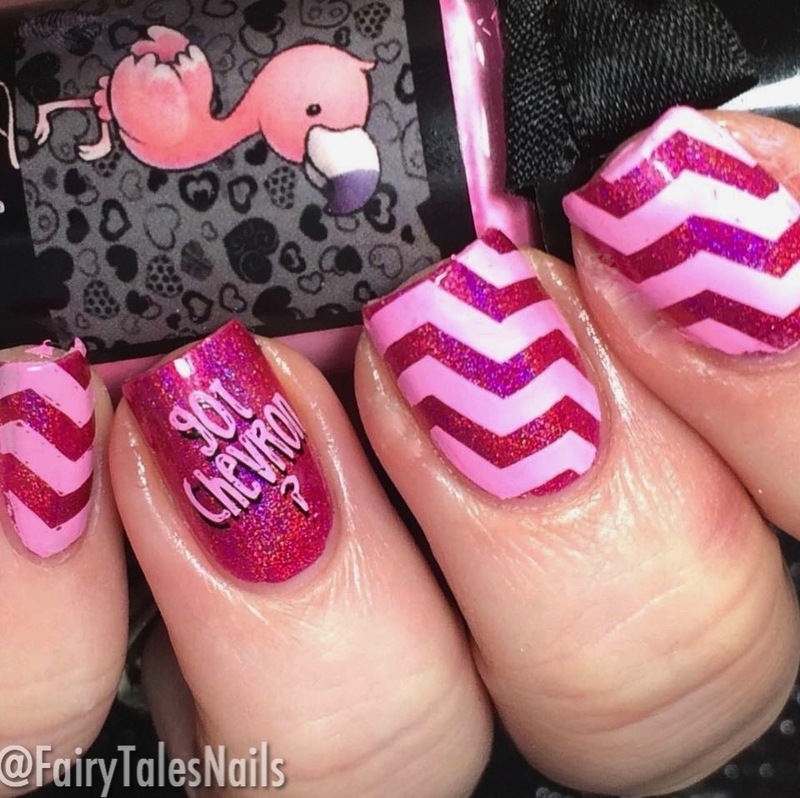 The full size images measure 2.1cm by 1.7cm so they are good for both short and long nails. 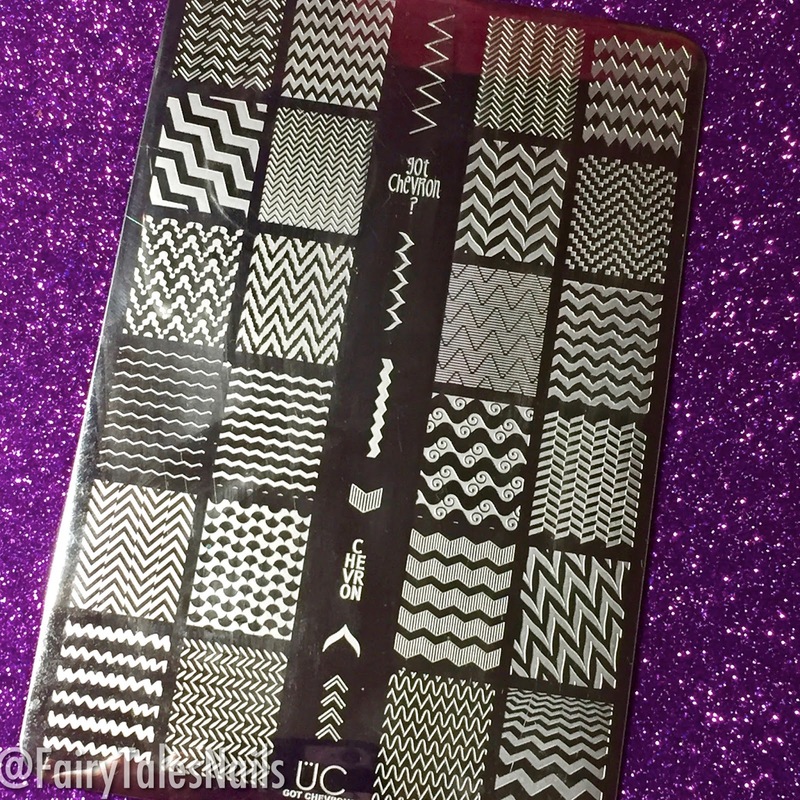 This plate is available to purchase now from Nail Artisan for £12.25, I will leave links to the store down below as well their social media so you can go browse all the nail art goodies she has to offer. I would love to know your thoughts on this plate? Let me know in the comments below. Huge thank you to the lovely Alex for sending me this plate for review. As always I hope you have enjoyed this post and I will chat to you all again soon.